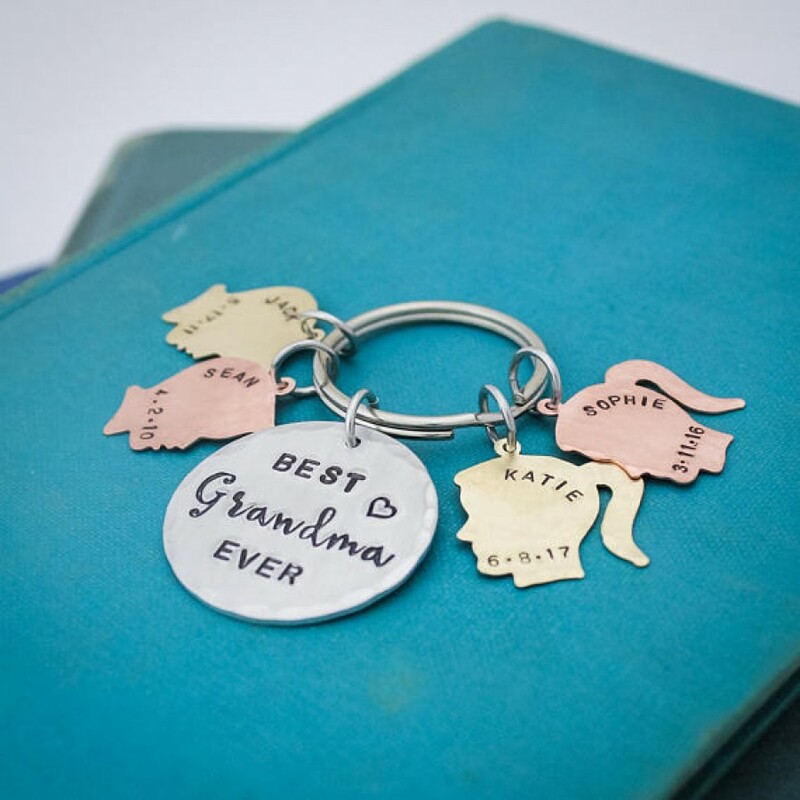 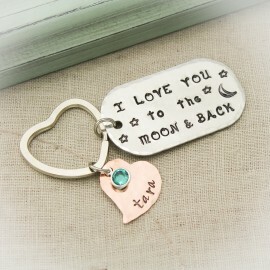 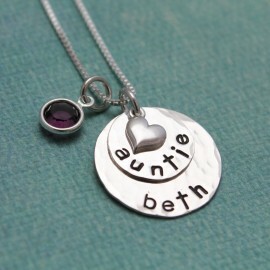 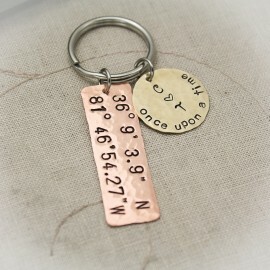 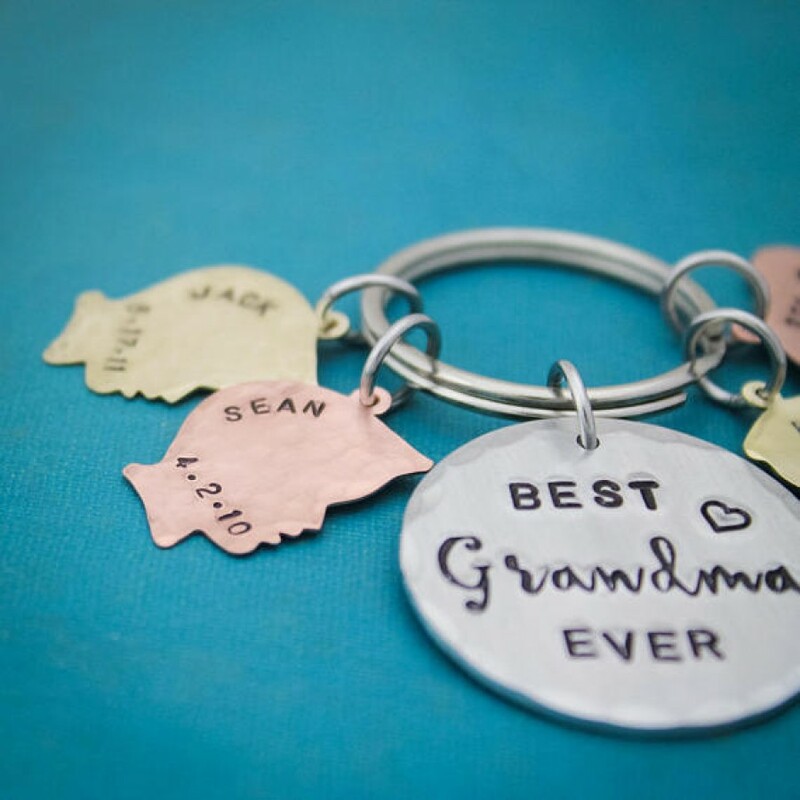 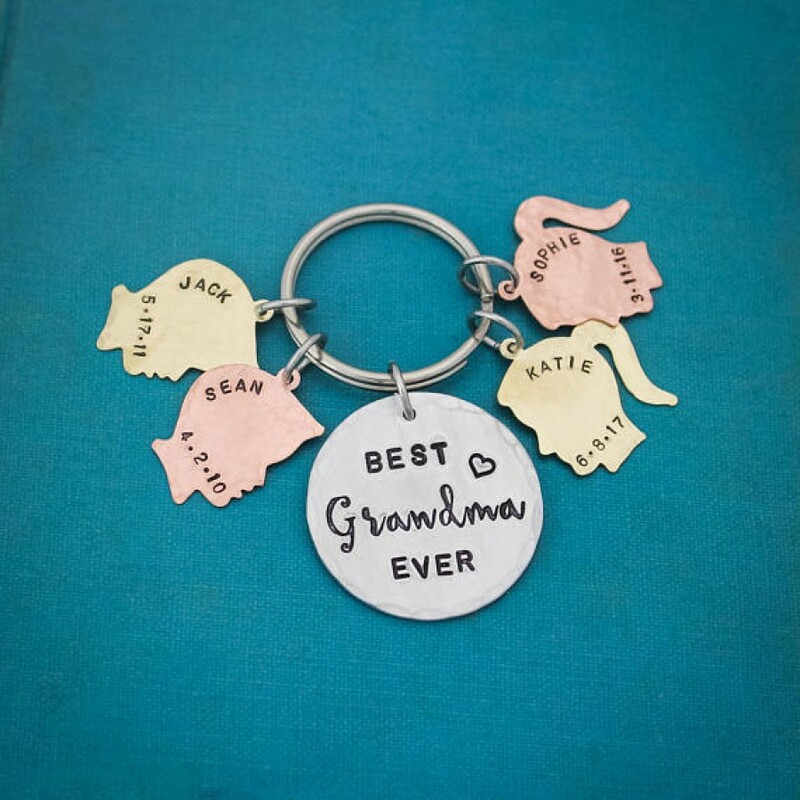 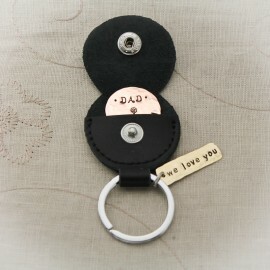 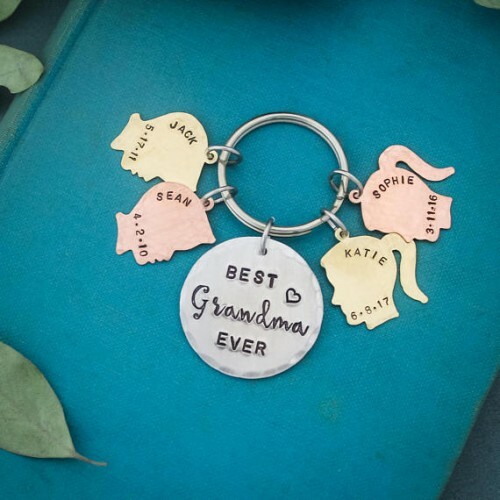 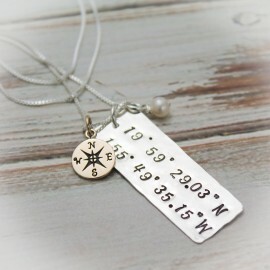 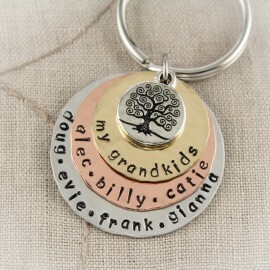 An aluminum disc is hammered and hand stamped with "best Grandma ever" or wording of your choice. 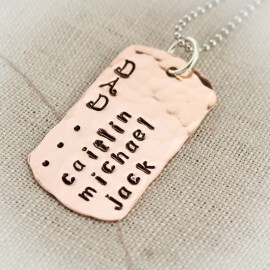 Silhouettes of copper and brass, boy or girl, surround the disc. 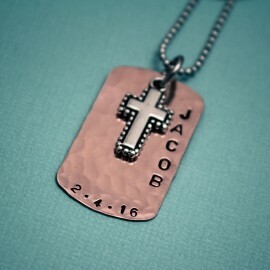 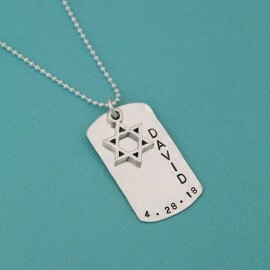 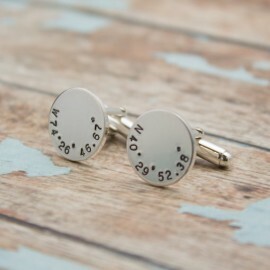 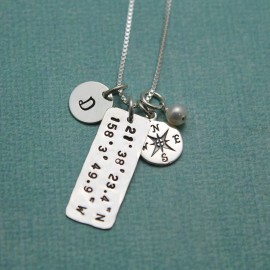 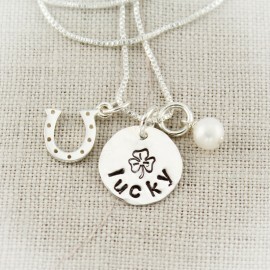 Stamped on each silhouette is the name and birthdate of each loved one. 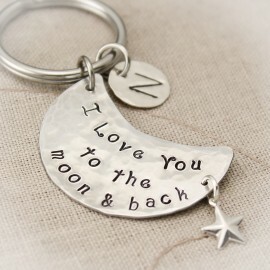 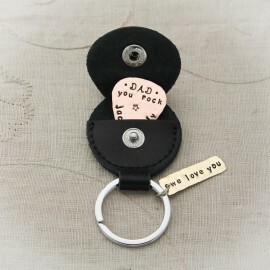 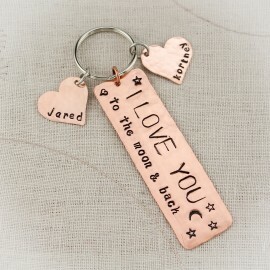 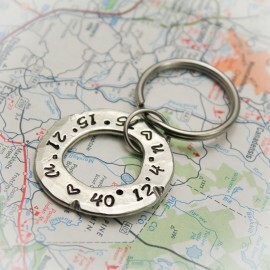 Key ring is stainless steel. 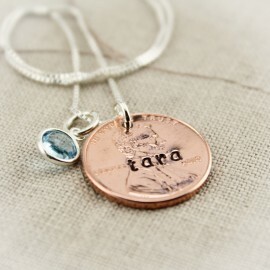 **Please read my store policy about copper and brass jewelry before purchasing. 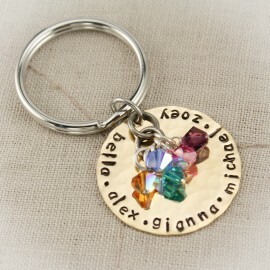 Enter color, gender, name and birthdate for each silhouette. 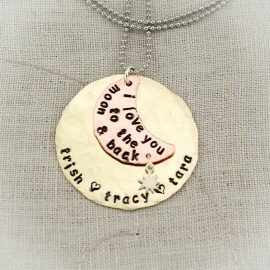 Disc is 1-1/4 in diameter.